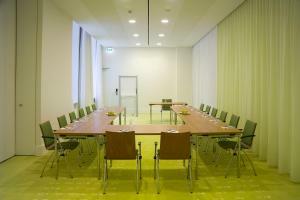 This 4-star hotel in central Berlin is 100 metres from Spittelmarkt Underground Station. Park Plaza offers modern rooms with free Wi-Fi as well as a fitness centre. The design of the Park Plaza Wallstreet Berlin Mitte has been inspired by the New York Stock Exchange. The spacious rooms feature a flat-screen TV, laptop safe and award-winning, dollar-bill carpets. The 23 Wallstreet restaurant features a glass conservatory and offers a daily breakfast buffet along with a selection of Berlin and international specialities. 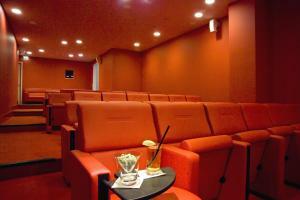 Guests can also relax with a drink in the fluorescent bar or cosy lobby lounge with leather seating. The Park Plaza Wallstreet Berlin Mitte is steps from the River Spree, and directly between Alexanderplatz and Potsdamer Platz. UNESCO Museum Island, Berlin Cathedral, Checkpoint Charlie and the famous Friedrichstraße shopping mile are all within a 20-minute walk of the hotel.